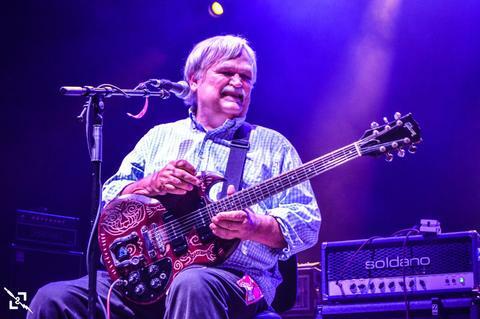 The phrase "He died doing what he loved" is almost a cliche, but in the case of Col. Bruce Hampton, it couldn't be more true. Hampton, who was born Gustav Berglund III, collapsed on stage at his own 70th birthday celebration and later passed away. The event took place at the Fox Theater in Atlanta. Hampton's family and the Tedeschi Trucks Band announced the sad news on Facebook. Over more than four decades, Hampton's musical inventiveness and surrealist humor infused a wide number of projects, starting with the Hampton Grease Band, which released its first album in 1971. In the 90s he led the Aquarium Rescue Unit, recording albums fron 1992 to 2005. As a guest musician he appeared on recordings by Frank Zappa, David Earle Johnson, Medeski Martin & Wood, Chuck Leavell, Widespread Panic and more. He also recorded as a solo artist and was an inspiration for more than one generation of musicians. He's regarded as one of the founding fathers of the "jam band" genre.